Cassells Insurance was founded by Bill Cassells in 1956. It remains a family business to this day. Son Paul joined the operation at the ripe old age of 20. And not long after, sister Ena joined up, and then as they say the rest is history. In 1992, after a career spanning 15 years in the money-market investment industry, Ena decided that the challenge of running a business, along with the opportunity to spend more time with her family, was great combination. 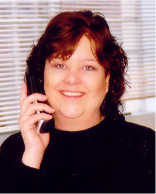 Besides being the primary Autoplan customer service representative, she is also very knowledgeable in all other aspects of insurance. Ena also performs a good deal of the office management duties, including the accounting end of things. In her off time, she enjoys sailing, baseball and spending time with her pets. 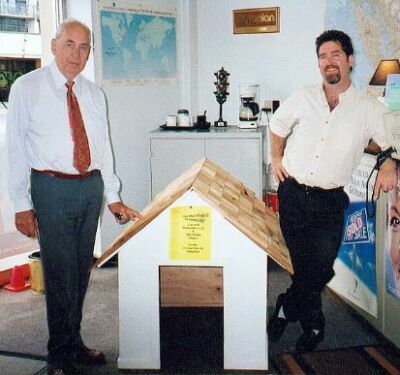 Here are Bill and Son Paul with a doghouse they built and donated to the George Derby Veteran's Hospital. This is in addition to many cat scratching posts that they have built and sold with the resulting money going to the Royal City Humane Society. Home owner insurance, condominium insurance, renters insurance, tenant insurance, marine insurance, pleasure craft insurance, personal watercraft insurance, motorcycle, snowmobile and ATV insurance, travel trailer and motorhome insurance, travel insurance, cargo insurance, commercial insurance and auto insurance.